I have been in Mortgage Banking for close to 23 years, and I have had the privilege of working with Dana Skiles for close to 20 years. First and foremost she is highly educated and professional in everything she does in this business, she knows it backwards and forward. 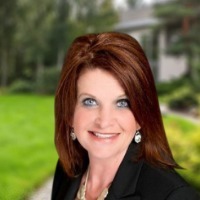 This knowledge is put to work ensuring she is on top of taking care of her clients whether they are buying or selling a home. She has always put her client first, working for them and advising them each step of the way. I feel her strongest quality as a Realtor is her passion, she is tenacious and unrelenting on assuring that she has given her best to advising and protecting her client, its refreshing to still see after all these years she has lost none of her zeal in her passion. I recommend her highly and with confidence. Thanks!